Our goal at Pacific Motor Service is to exceed your expectations with a full line of shop services for all your vehicle repair needs. Our auto repair shop services all makes and models, both foreign and domestic. Please do not hesitate to contact us any time you have any questions about our shop services or wish to make an online appointment. After you have taken advantage of our shop services and your repairs are complete, we’ll send you a follow up postcard that shows you how to view your repair order online, anytime. Even if you lose your receipt, you’ll be able to see the work we’ve done on your vehicle. AAA only certifies the shops that meet the highest criterion. When you go to a AAA certified shop, you can always be sure you're in great hands. Pacific Motor Service offers a 3 Year/36,000 Mile Napa Peace of Mind Nationwide Limited Warranty on all services and repairs performed at their shops. This warranty is one of the best in the auto repair industry. If your vehicle is still under the manufacturer warranty, Pacific Motor Service is fully able and equipped to perform all the services needed to maintain the warranty. One of the biggest myths about new cars is that the dealership has to perform all service and repairs in order to maintain the manufacturer warranty. This is incorrect. According to the manufacturer owner’s manual, new vehicles must be serviced at specific intervals using the correct fluids in order to maintain the warranty. Here at Pacific Motor Service, we follow the best practices prescribed by the manufacturer, and we document our services using the CARFAX database. We understand that business owners need to keep their expenses low, and Pacific Motor Service provides fleet services that save you money and staff time. Since 1947, we have provided peace of mind to multiple business owners who trust us to provide quality fleet services. That is why Pacific Motor Service has developed a reputation as one of the premier auto shops providing fleet services on the Monterey Peninsula. 1. 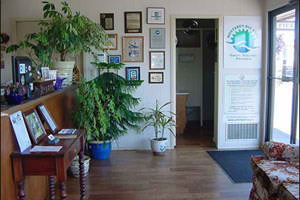 We offer free local shuttle service to drop you off at work or home after you bring your vehicle in to us for service. 2. If you need us to pick up your vehicle or return your vehicle so you won’t have to, schedule an appointment with us for our Concierge Shuttle Service. Please note: Appointments must be booked and confirmed 24 hours in advance, and you must be able to receive fax or email to sign an authorized work order and return it before work begins. 3. If you need a rental car, we can provide one to you at a discounted rate. 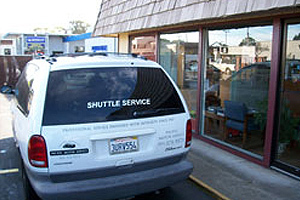 Whatever your shuttle service needs, Pacific Motor Service is here to make. We provide complete fleet maintenance service, repair, and detailing services to all cars, trucks, vans, SUV’s, including 1.5 ton trucks and vans. We are ranked in the top 1% in the nation as an ASE Blue Shield Service Center. 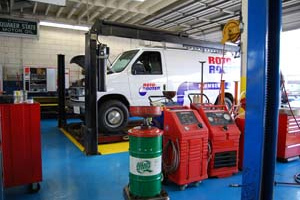 We have ASE Master Automotive Technicians with Advanced Certifications on staff. We keep all your fleet warranties in effect. We save you up to 20% off Dealers’ Service Departments. Pick up and delivery service available for your convenience. State of the Art Technology, with manufacturer specific technical information. Fleet vehicle management software package to make your job easier. Online appointment scheduling for your fleet service. Online fleet invoice management via proprietary website. We customize the service to each company’s needs, based on your fleet service goals and objectives. Many of our fleet service customers say they save more money with us and their task of overseeing their fleet has never been easier.